I’ve never been much of a potato fan. Mashed potatoes? Ick. French fries? I’ll have a few but never crave them (unless we’re talking sweet potato; then I’m game). Baked potatoes? I have to drown them with all the toppings to get excited. I have several people in my life who are huge potato lovers but I can take them or leave them. The one way I can get excited lately though? If they’re roasted and crispy and golden and bathed in olive oil and herbs. Kind of specific I know. But it’s what I like! These were served alongside the perfect chicken fingers I made last week and although I wasn’t planning on sharing this creation, I have to. Because they have me wanting potatoes. And that’s huge. Make them! Preheat your oven to 450 degrees. Line a baking sheet with parchment or Silpat and set aside. Dice your potatoes in chunks and toss with the lemon juice, olive oil, Italian seasoning and pepper. Spread on the baking sheet. Roast for 30 minutes, tossing halfway. 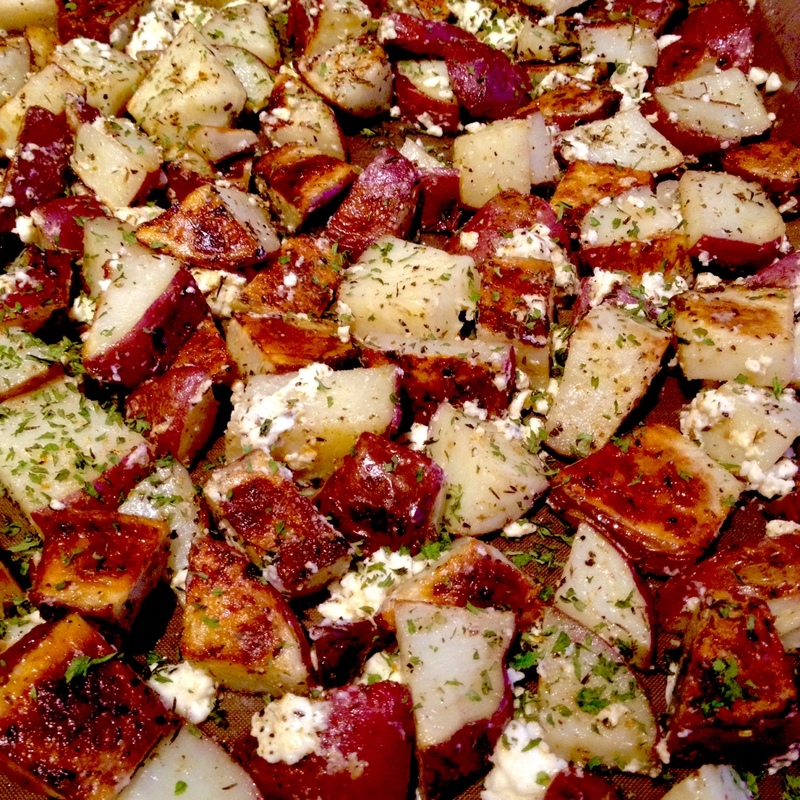 Once potatoes are crispy and golden, toss with the feta and seasoning salt to taste. Garnish with parsley and serve.